The time for your business customers to refresh their PCs has never been better. Use our channel toolkit to drive PC refresh sales, and help customers accelerate their business growth. A new computer with an 8th Gen Intel® Core™ processor delivers a big jump1 in performance compared to the previous generations. Deliver unprecedented power and responsiveness with easy built-in security, so that your customers can work, play, and create quickly and seamlessly. Use exclusive, partner-only resources to help you plan, build, and deploy Intel®-based education solutions. Your customers want efficiency, productivity, and mobility. Offer them the benefits of a PC refresh. Grow your business by providing a solution that adapts to your customers’ evolving collaboration needs. Speed insights and agility in the data era. The 2nd Gen Intel® Xeon® Scalable processors is the platform to offer for data-centric business transformation. Find the perfect AI solutions and AI Computing platforms based on Intel® architecture for your business critical needs. Learn how to describe and compare various aspects of Intel® Xeon® Scalable processor-based solutions including measured data comparisons across various data center workloads. Use partner-only resources to plan, build, and deploy your cloud data center solutions. Get the latest resources, tools, and information about product to take advantage of the storage modernization and transformation revenue opportunity. Learn how Intel® architecture can address the demands of high performance computing (HPC). The Internet of Things (IoT) is fueling innovation in nearly every part of our lives. Take advantage of this global transformation and learn how you can earn Specialty Benefits by selling IoT solutions. Learn how manufacturers are using data analytics to operate more efficiently. Learn how Intel and its partners are modernizing the energy grid with integrated, scalable hardware and software solutions. Find out how retailers use the IoT to provide personalized and immersive experiences to customers. Learn how Intel is shaping the future of the transportation industry with its IoT solutions. Learn about the IoT-enabled operational systems that deliver accurate and useful information about buildings. Examine the impact of real time videos on key business decisions. Engage customers with digital signage technology from Intel. Redefine desktop performance with the latest Intel® processors. Learn what Intel®-based mobile devices can do for your business. Get processors for servers ranging from entry-level workstations to HPC clusters. Find the perfect Intel® SSD for your needs. Get an unparalleled combination of high throughout, low latency, high QoS, and endurance to unleash vast system performance potential. The Intel® Movidius™ Neural Compute Stick is designed to help democratize the machine intelligence space, and accelerate an age of intelligent device and systems. Get your drone-based applications airborne quickly with the Intel® Aero Ready to Fly Drone development platform, geared towards developers and researchers. Intel® RealSense™ technology is fundamentally reshaping the future of technology by equipping devices with the ability to see, understand, interact with, and learn from their environment. 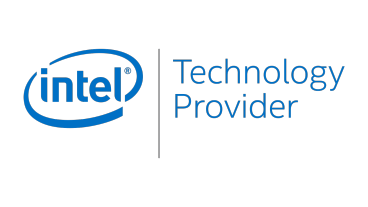 As an Intel® Technology Provider, you can get access to the latest Intel® Roadmaps for desktops, servers, and more, as well as key reference documents including launch updates and discontinuance guides. As measured by SYSmark* 2014 SE (Second Edition) on Intel Reference Platform. New: Intel® Core™ i7-8550U processor, PL1=15W TDP, 4C8T, Turbo up to 4.0GHz, Memory: 8GB DDR4-2400, Storage: Intel® 600p SSD, Intel® UHD Graphics 620, OS: Windows* 10 versus previous gen: Intel® Core™ i7-7500U processor, PL1=15W TDP, 2C4T, Turbo up to 3.5GHz, Memory: 8GB DDR4-2133, Storage: Intel® 600p SSD, Intel® HD Graphics 620, OS: Windows* 10.